Having the right desk for your gaming computer setup is very important. There are several important features to keep your eye on as well with the top two being the price and size. With that in mid, lets take a look at some gaming computer desks. Our first recommended desk is the Mayline 945ANT Mobile PC Station and it’s ideal for the budget gamer. With a price of under $100, you can have a very nice desk and put the money you saved on the desk into a brand new video card, memory, or solid-state hard drive. 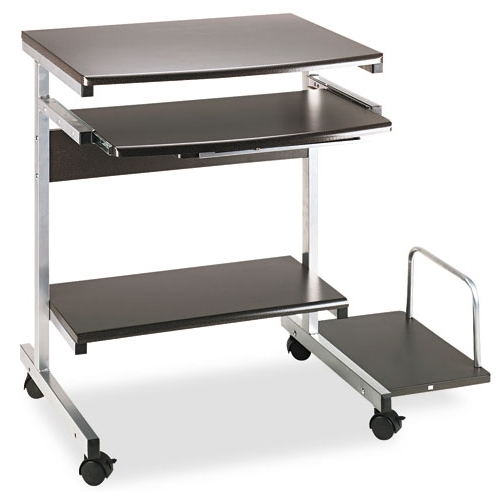 Consisting of very sturdy and durable materials, the Mayline PC Station is built to last. The desk also has plenty of room to handle your gaming monitor, keyboard, mouse and even a small speaker set if you have them. 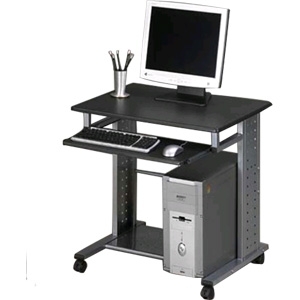 One important note about the desk is that it does not provide room for a printer or scanner, just something to be aware of with the Mayline PC Station. Our next recommendation is the Mayline 946ANT Portrait Mobile PC Workstation . Featuring a nice price and great features, the 946ANT Portrait PC Workstation is an excellent choice for a gaming computer desk. You will find plenty of room to accommodate all of your gaming computer accessories including the monitor, keyboard, mouse, speakers and even a printer or scanner. The keyboard platform can also slide in for easy storage when it is not needed, making it another great storage feature. Not to worry, the desk is comprised of solid, built-to-last materials that will provide plenty of longevity for your gaming computer needs. Having a solid, comfortable gaming computer desk is very important in a gaming computer setup. After all, you really just can’t set everything on the floor and expect it to be comfortable. Selecting a computer desk really boils down to two choices, price and size. If you have the money, we suggest buying a desk that has plenty of room for a printer, scanner, or any other device you might be purchasing in the foreseeable future. However, if you find yourself on a tight budget, there is no need to worry. There are plenty of great desks for well under $100 that would make a great setup for your gaming computer.